Ben Aranda and Chris Lasch are growing up. Longtime habitués of galleries, museums, and art fairs, Aranda/Lasch, their eponymous firm, was an early leader in parametric design and advanced fabrication, which they employed to make intricate, conceptual furniture and installations. Now, after more than a decade of practice, they are making the leap in scale to buildings, with two large-scale commercial projects in Miami and a cultural building in design development in Libreville, Gabon. “Even when we were designing furniture or working with artists or musicians, we always thought of ourselves as architects, it was always about research in architecture,”said Aranda. The lessons they learned in fabrication and design have been translated into the new buildings. Their so-called Art Deco building in the Miami Design District features a play on the fins and pleated motifs common in Miami buildings from the 1920s through the 50s. 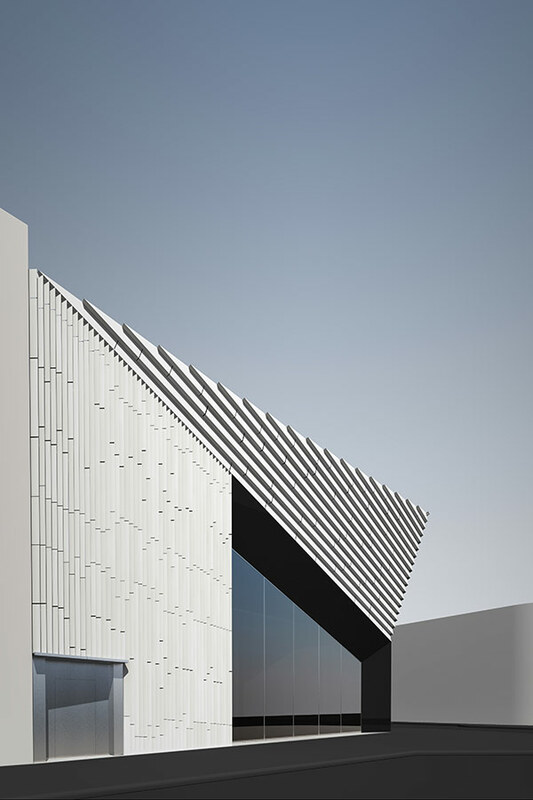 Far from historicist, the building is clad in custom fabricated glass reinforced concrete panels with alternating bands of ridges with embedded lighting dashed across the surface. 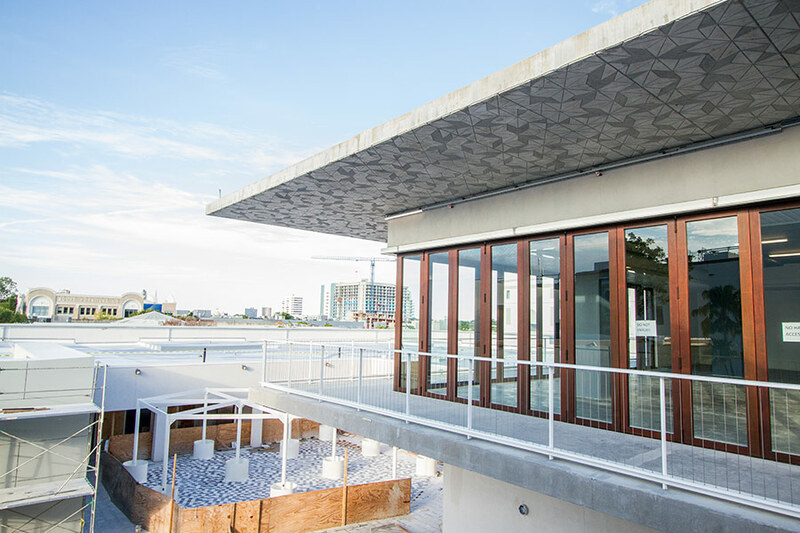 Also in the Design District, a new event space features a cantilevered overhang with a non-repeating quasi-crystalline pattern set in the concrete. The firm created custom 4-by-10-foot trays in which to pour the concrete panels. 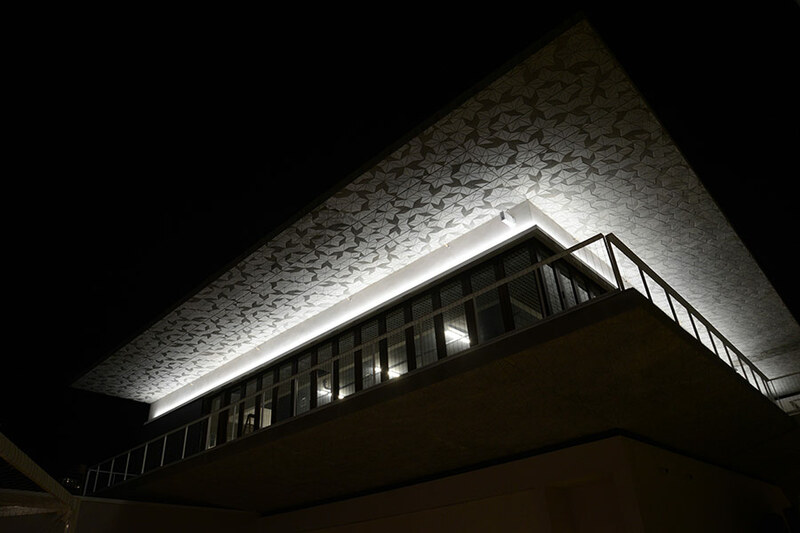 Visible in daylight, the pattern is starkly highlighted at night with simple uplighting, giving the inexpensive, conventional materials a decidedly luxurious appearance. 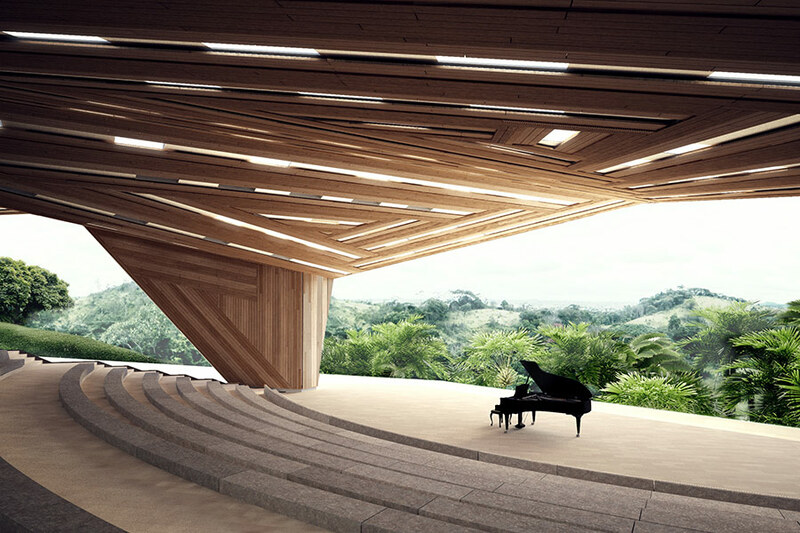 Their competition-winning scheme for an outdoor performance hall in Libreville incorporates existing topography and a retaining wall under a massive new self-supporting roof canopy, which they call the “thin stress skin.” Made of extruded aluminum panels covered in spray-on membrane, the canopy acts as a large rain collector which channels water through its columns to rain gardens below. 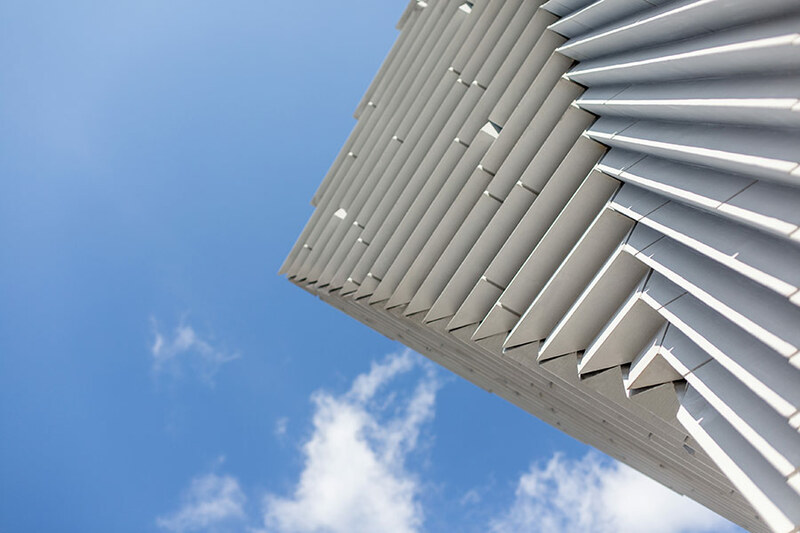 “The thing that we’ve learned is that buildings come together at a different clip-rate than the furniture or installations, which operate on the schedule of fairs or biennales,” said Aranda. The structure of the firm mirrors its interests, with Aranda running a small New York studio and Lasch based in Tucson. New York offers access to cultural and academic institutions, potential clients, and ease of travel to their projects, while Tucson offers affordable yet highly precise fabrication facilities due to its proximity to the aerospace industry.